All that glitters is Gold! 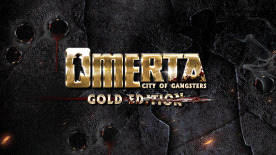 The ultimate collector's edition of the award-winning gangster game “Omerta – City of Gangsters” includes the main game and all currently available DLC –adding up to more than 100 hours of playtime. It also features 25 unique characters and more than 20 different and detailed district maps of Atlantic City - an offer you can't refuse! Includes the main game “Omerta – City of Gangsters“, the expansion “The Japanese Incentive“ and all released DLC and content updates. Bowl smart AI enemies out of town through raids, burglaries and extortion in sandbox mode.